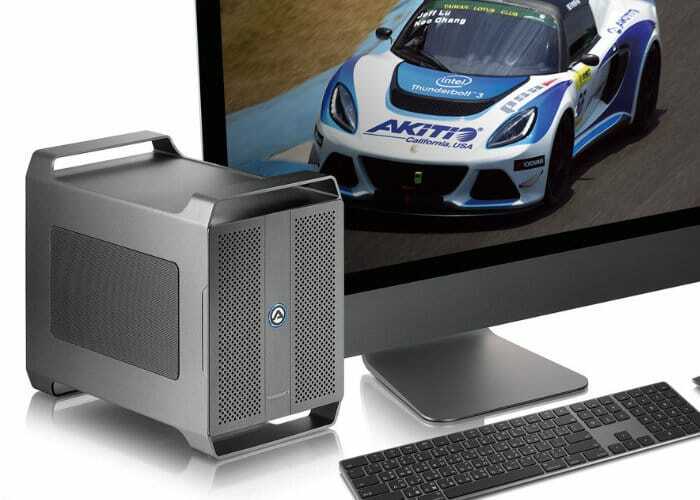 If one external graphics card doesn’t provide enough power for your performance needs, you may be interested in a new solution created by AKiTiO, which takes the form of the AKiTiO Node Duo external graphics enclosure. Thanks to the inclusion of two PCI-Express 3.0 x16 slots (electrical gen 3.0 x2) the external graphics card is capable of accepting to 2-slot thick graphics cards that are up to 22 cm in length. 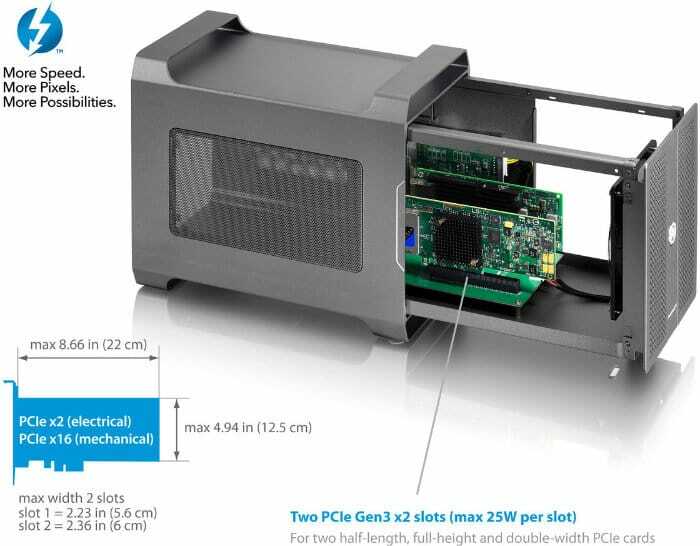 Ventilation within the graphics enclosure is provided by a 120 mm intake fan and enclosure measures 29.3 cm x 15.5 cm x 23.2 cm (DxWxH) in size and is equipped with a a Thunderbolt 3 (40 Gbps) connection. The upstream port that plugs into your computer delivers standard 15W, while the downstream connection supports USB PD, with up to 60W downstream power delivery. The graphics enclosure is also equipped with a DisplayPort 1.2 output and will be available to purchase priced at $395 sometime before September 2018. The system comes equipped with a 150W power supply offering 25W to each graphics card although this can be upgraded if desired to a maximum 230W capable of providing 75W to each graphics card.